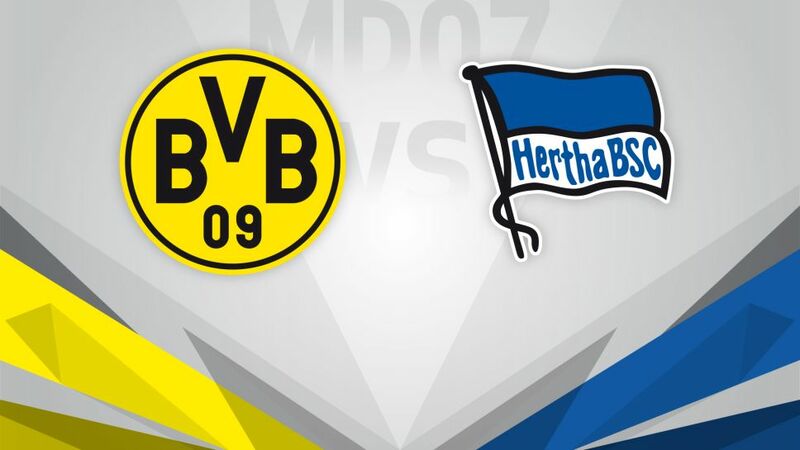 Third host second as Borussia Dortmund and Hertha Berlin look to exert some pressure on league leaders FC Bayern München in the opening Matchday 7 fixture on Friday (kick-off 20:30CEST/18:30GMT). Dortmund are hoping to get back to winning ways when they welcome Hertha to the SIGNAL IDUNA PARK on Friday. Thomas Tuchel’s men made an electric start to the season, scoring 20 goals in the four games following the shock 1-0 loss to RB Leipzig on Matchday 2. Thomas Tuchel’s men were brought back down to earth with a thud last time out, though, falling 2-0 to Bayer 04 Leverkusen. The result left Die Schwarzgelben third, four points behind leaders Bayern, and one from the visiting capital club, who are second. Hertha spent 20 weeks in the UEFA Champions League places last term before finishing seventh, but they have dispelled any notion that last season’s form was a deviation from the norm, winning four of their six games so far, with their sole defeat coming at the hands of champions Bayern on Matchday 4. Vedad Ibisevic scored a brace in the 2-0 win over Hamburger SV last time out meaning he is - like BVB’s Pierre-Emerick Aubameyang - atop the scoring charts with five goals.